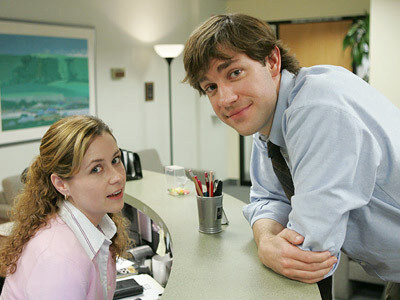 Pam Beesly is the friendly receptionist at Dunder-Mifflin Company and gets most of Michael’s blunt and rude comments. Jim Halpert is a salesman at Dunder-Mifflin and has a good sense of humor. Jim tries to think of everything he can to get on Dwight’s nerves. He and Pam are engaged. 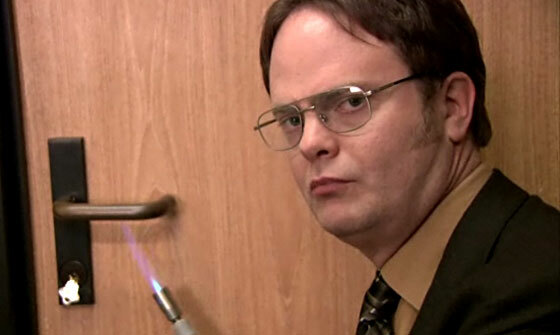 Dwight Schrute is also a salesman, who is not so friendly and is paranoid about every little thing. He shares a workspace with Jim. Michael Scott thinks he is the “head honcho” of Dunder-Mifflin Paper Company. He runs a small portion of the company and is working under someone else. 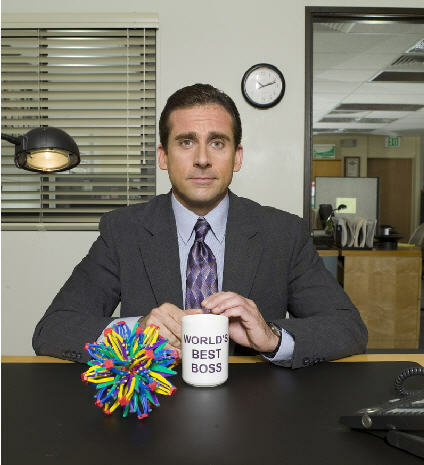 He received a “World’s Best Boss” coffee mug, which came from himself.